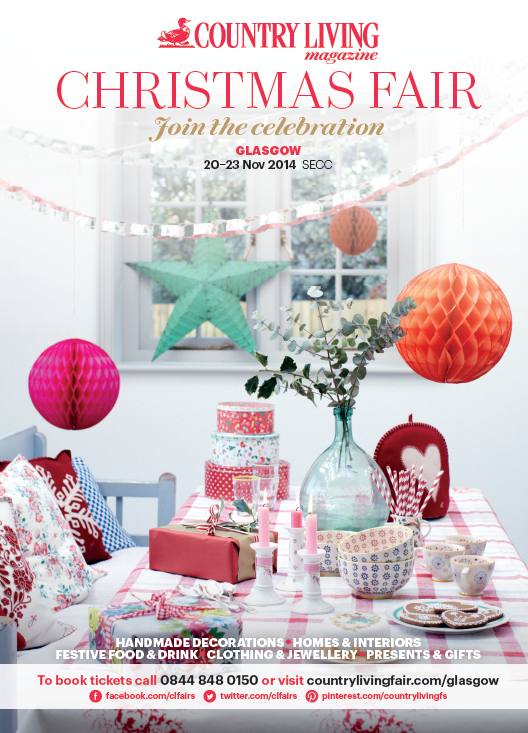 Anyway, if you haven't been already, then you really must check out the Country Living Magazine Christmas Fair, which arrives at the SECC Glasgow on 20th - 23rd November 2014. It's a must for all Christmas fans like me! 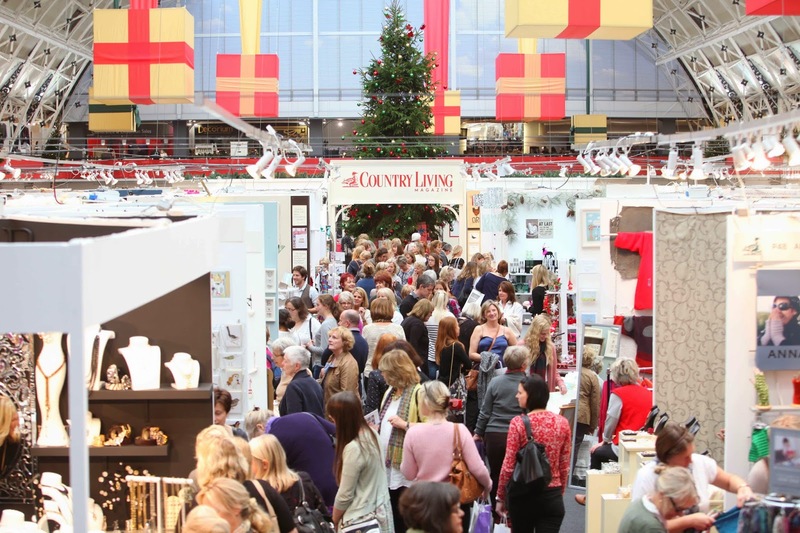 There will be almost 300 stalls under the one roof, selling gifts, decorations and festive food; and in addition to the stalls there are three informative theatres - cookery, lifestyle and craft & create - each offering advice and demonstrations. The art demo on 'painting a stag' intrigues me and I would love to get along to the 'creative gift wrapping and styling' session. Ticket details can be found here, and if you insert the code Blog14 then you will be given a discount of £1 off the ticket price. This offer is valid until the day before the fair, at all three fairs - Glasgow, Harrogate and London. I do have two tickets up for grabs however and all you need to do is follow the instructions in the Rafflecopter below. Huzzah!! Giveaway ends on Wed 12th November, which will allow me enough time to get the tickets sent out to the lucky winner. Prize is two tickets for the Glasgow fair, there is no alternative prize. We have been ordering bits for christmas card crafting this morning- glittery pom poms and googly eyes! Hmmmm... I contacted the rep & apparently others are using the code with no issues. Her only other suggestion was to try the code all CAPS. It seems to be working for her though. Not sure what the issue is... Let me try. I know...time is flying past!